Find a painting that you love. 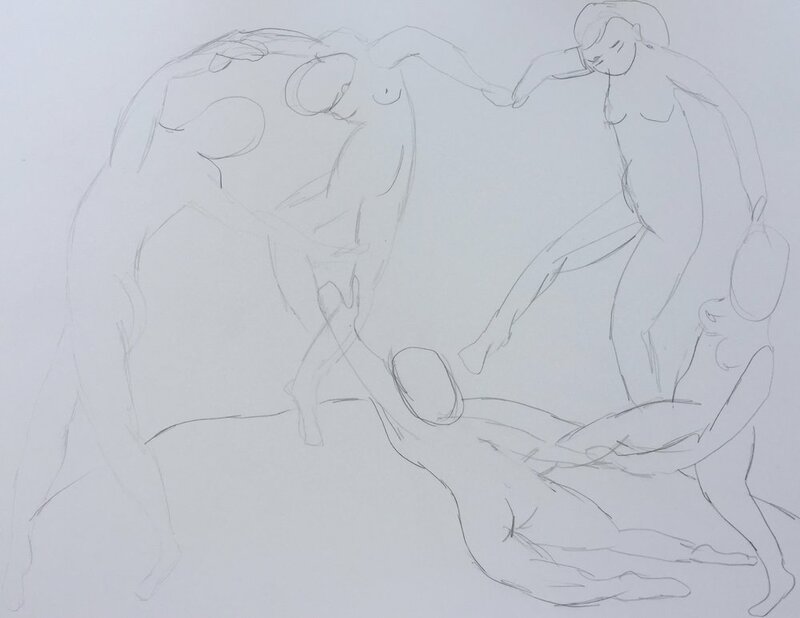 I choose La Danse by Matisse because I love the color palette and movement in the piece. Use a color palette that you love, this could be completely different from the original painting. 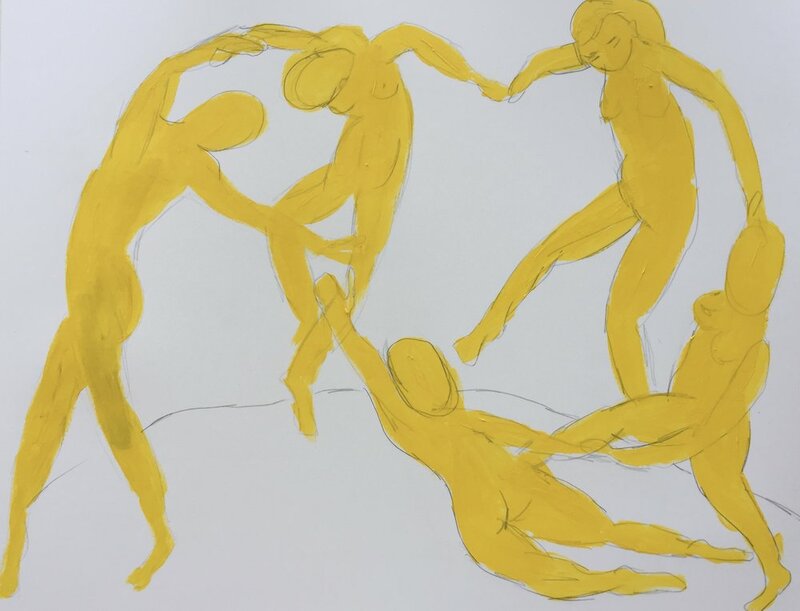 Sketch it out, then begin to paint it in a similar style of the original piece you love. Not sure what to paint? Check out WikiArt!